A pamphlet on prohibition in Kansas circulated by the Topeka Daily Capital. 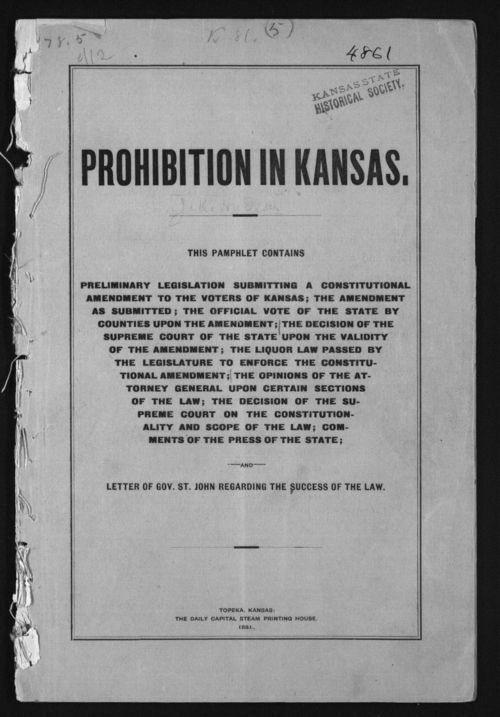 The pamphlet was a result of the large number of requests for copies of the Kansas liquor law and state supreme court decisions. It also includes a letter by Gov. St. John.